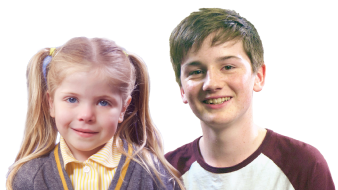 Established in 2003, Kip McGrath Stirling is a well-established tutoring centre owned and run by teacher and former Head teacher, Fiona Macdiarmid. Fiona is trusted by many parents in the Stirling and Clackmannan area who have sought help with their children’s learning. Along with her team of excellent tutors, she is dedicated to helping children feel more confident about their learning in order to maximise potential. Tutoring at Kip McGrath is tailored to individual student’s learning needs and the relaxed, friendly atmosphere of the centre on the Stirling University campus provides an ideal location. Tutoring sessions usually run after school on Mondays, Tuesdays, Wednesdays, Thursdays and on Saturday mornings. Each session is 80 minutes long and our tutors are all fully qualified teachers. Fiona and the Kip team look forward to welcoming you to the Kip McGrath centre in Stirling.